Salmon Portland Chase served from 1864 to 1873 as the sixth chief justice of the Supreme Court of the United States. He was also a distinguished lawyer and politician, serving as U.S. senator from Ohio (1849–55 and 1860–61), governor of Ohio (1855–59), and secretary of the treasury (1861–64). Chase also sought the presidential nomination in every election between 1856 and 1872, even while sitting as chief justice. As a result, many criticized him for neglecting his judicial responsibilities in favor of his political ambitions. Despite his extrajudicial activities, Chase helped to navigate the Supreme Court through the dangerous political waters of Reconstruction, the period following the Civil War when the country attempted to rebuild itself and readmit the Southern states to the Union, preserving the Court's powers when a Republican-dominated Congress sought to control both the presidency and the Supreme Court. As chief justice, Chase presided over the 1868 Impeachment trial of President Andrew Johnson. Chase was an ardent opponent of Slavery his entire life, and in his last years on the Court he fought against a narrow interpretation of the Fourteenth Amendment, an interpretation that he surmised would allow future state legislatures to rescind the newly won rights of African Americans. Chase was born January 13, 1808, in Cornish, New Hampshire, the eighth of 11 children in a family that had lived in New England since the 1600s. His father operated a tavern as well as a glass factory and distillery near Keene, New Hampshire, and died when Chase was nine years old. Chase had two prominent uncles who aided him in his father's absence: Dudley Chase, who served two terms as U.S. senator from Vermont (1813–17 and 1825–31), and Philander Chase, who became bishop of Ohio for the Episcopal Church and president of Cincinnati College. When he was 12 years old, Chase moved to Ohio to help on Philander Chase's farm. In return for his work, his uncle taught him Greek, Latin, and mathematics in his church school. Chase attended Cincinnati College for a year then eventually returned to his family in New Hampshire and entered Dartmouth College, graduating Phi Beta Kappa in 1826. After college, Chase moved to Washington, D.C., where he studied law under Attorney General William Wirt. He passed the bar exam and returned to Cincinnati to set up a legal practice. In Cincinnati, Chase's personal life was clouded by tragedy. He lost three wives between 1835 and 1852. He had one daughter by each of his last two wives. He remained single for the last part of his life and was a devoted father to his two daughters. Chase strongly opposed slavery from his early years, a position that owed much to his deeply religious outlook. In Ohio, he was nicknamed the Attorney General for Runaway Negroes for his Legal Representation of abolitionists who had aided runaway slaves from Kentucky. He even took two of these cases to the U.S. Supreme Court—Jones v. Van Zandt, 46 U.S. (5 How.) 215, 12 L. Ed. 122 (1847), and Moore v. Illinois, 55 U.S. (14 How.) 13, 14 L. Ed. 306 (1852)—both of which he lost. About his nickname, Chase commented that he "never refused …help to any person black or white, and that he liked the office nonetheless because there were neither fees nor salary connected with it." "No more slave states, and no more slave territory. let the soil of our extensive domain be kept free." In 1849 Chase was elected to the U.S. Senate as a member of the Free-Soil party, which sought to keep new states in the west free of slavery. In the Senate, he and Charles Sumner became leading spokesmen for the antislavery movement. He gained renown through his opposition to the 1854 Kansas-Nebraska Act, which allowed each territory to conduct a popular vote deciding whether it would permit slavery. Shortly thereafter, he helped to found the antislavery Republican Party, and in 1855 he was elected governor of Ohio. He was considered for the 1856 Republican presidential nomination but was passed over, and in February 1860 he was reelected to the U.S. Senate. In May of the same year, he sought the presidential nomination at the Republican convention in Chicago. Chase and William H. Seward were considered the chief contenders for the nomination, but on the third ballot Chase's supporters gave their votes to Abraham Lincoln, thus giving the man from Illinois the nomination. After his election, Lincoln offered Chase and Seward the respective posts of secretary of the treasury and Secretary of State. Chase then gave up his seat as U.S. senator.At the Treasury, Chase faced the difficult task of financing a government that was engaged in a civil war. As part of this effort, he helped to establish a national banking system that gave the federal government its first effective national paper currency. Early in the war, Chase also advised military leaders who sought guidance from Washington, D.C. Chase was often unhappy with the decisions of Lincoln and other members of the cabinet and resolved that he could do better as president. He therefore opposed Lincoln for the Republican presidential nomination in 1864. Chase had the support of the more liberal wing of the Republican Party but he eventually withdrew his name from consideration, conceding to the more popular Lincoln. In June 1864, after several disagreements with Lincoln, Chase resigned from the cabinet. Despite their differences, Lincoln admired Chase, and in December 1864 he nominated Chase to succeed roger b. taney as chief justice of the U.S. Supreme Court. He nominated Chase with the expectation that Chase would sustain two extraordinary measures taken by the Union during the war—the emancipation of the slaves and the issuance of paper money to repay debt. Both measures had caused great controversy, and as a result many Americans had lost confidence in the federal government. Chase joined a Court with only three other justices who consistently supported Republican positions, Justices David Davis, noah h. swayne, and samuel f. miller, all appointed by Lincoln. The Court was sharply divided over the various issues surrounding Reconstruction. The post–Civil War crisis deepened when Lincoln was assassinated on April 14, 1865, and Vice President Andrew Johnson became president. Chase urged a moderate, conciliatory stance toward the defeated South, a stance that eventually alienated him from the Radical Republicans, a faction of the Republican party that sought to impose strict military measures and punitive new laws on the states of the former Confederacy. Like the Radical Republicans, Chase supported expanded freedoms for African Americans. Unlike them, however, he also supported such measures as ending Military Government in the South, pardoning Confederate leaders, and quickly restoring Southern states to the Union. Chase's moderation helped to spare Jefferson Davis, president of the former Confederacy. After the war, Davis had been imprisoned in Virginia, part of Chase's circuit, where the government hoped to try him for Treason. Chase refused to hold a civil trial while the area was still under military rule. Although a Grand Jury indicted Davis for treason, no action was taken against him, and eventually the government's case was dismissed. Many of the U.S. Supreme Court's decisions during Chase's tenure involved the thorny issue of Reconstruction. In March 1867, Congress passed the Reconstruction Acts, which divided the South into five districts and imposed military rule. Reconstruction involved new problems of constitutional interpretation as to the federal government's powers over the states. At issue were questions not only of States' Rights but also of the status of freed slaves. In one early decision, ex parte milligan, 71 U.S. (4 Wall.) 2, 18 L. Ed. 284 (1866), Chase voted with the Court in challenging Congress over Reconstruction. The Court held that Congress could not authorize military trials where civil courts were still operating. The majority opinion warned of the military's "gross usurpation of power"—a direct challenge to the Reconstruction Acts passed by Congress. However, in later decisions Chase voted to uphold congressional laws pertaining to Reconstruction. In the 1867 Test Oath cases—Cummings v. Missouri, 71 U.S. (4 Wall.) 277, 18 L. Ed. 356, and Ex parte Garland, 71 U.S. (4 Wall.) 333, 18 L. Ed. 366—Chase disagreed with the Court's decision to strike down laws requiring that priests and lawyers swear oaths of loyalty to the Union. In his dissenting opinion, joined by Chase, Justice Miller declared that no punishment was inflicted by requiring such an oath and that Congress could impose such requirements. Chase considered Texas v. White, 74 U.S. (7 Wall.) 700, 19 L. Ed. 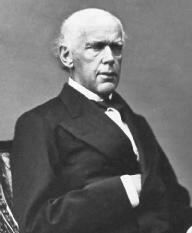 227 (1868) to be the most important case of his Supreme Court career. Chase, writing the Court's opinion, upheld the general principles of Reconstruction, asserting that Congress, and not the Supreme Court, possessed the authority to recognize state governments as legitimate. When Southern states sought to make cases in court against executives of the federal government—including President Johnson and Secretary of War Edwin M. Stanton—Chase joined the majority in dismissing those cases, thereby aiding Congress in its Reconstruction fervor. In Mississippi v. Johnson, 71 U.S. (4 Wall.) 475, 18 L. Ed. 437 (1867), Mississippi, in the first court case ever to name the president of the United States as an individual party, attempted to prevent President Johnson from enforcing certain provisions of the Reconstruction Acts. Chase dismissed the case, holding that preventing the president from acting on congressional legislation would cause a "collision …between the executive and legislative departments of the government." This, in turn, would give the House grounds to sue for the president's impeachment. This opinion proved prophetic, of course, when Congress did attempt to impeach President Johnson. Chase's public standing improved when he ably handled the impeachment trial of President Johnson in March 1868. The Radical Republican–dominated Congress had voted to bring impeachment proceedings against Johnson after he dismissed one of their favorite members of his cabinet, Secretary of War Stanton. The Senate sat as a court of impeachment with Chase presiding as judge. Chase frustrated Radical Republican aims by sticking to procedural rules and helping to bring about Johnson's acquittal, which passed the Senate by one vote. The public acclaim occasioned by his handling of the impeachment trial led Chase to make another try at the presidency in 1868. That time, however, Chase made known his desire to run as a Democratic candidate, largely because his moderate positions toward the South had endeared him to Democrats. His efforts failed. This court can know nothing of public policy except from the Constitution and the laws, and the course of administration and decision. It has no legislative powers. It cannot amend or modify any legislative acts. It cannot examine questions as expedient or inexpedient, as politic or impolitic. Considerations of that sort must, in general, be addressed to the legislature. Questions of policy determined there are concluded here. ulysses s. grant won the presidential election of 1868, and from that time onward, the power of Radical Republicanism began to wane. Grant's appointments made the Court a more conservative body. In the slaughter-house cases, 83 U.S. (16 Wall.) 36, 21 L. Ed. 394 (1873), Chase dissented from the Court's narrow interpretation of the Fourteenth Amendment, which was passed in 1868 and sought to protect the rights of African-Americans against infringements by state legislation. In its Slaughter-House decision, the Court held that the Fourteenth Amendment's privileges and immunities clause protected only a few select rights of national citizenship, such as the right to travel. The Court did not interpret the amendment as guaranteeing more fundamental rights, such as the right to vote. Chase objected that the Court's opinion jeopardized newly won freedoms for African Americans. It would take another century before the Court would reverse this narrow interpretation of the Fourteenth Amendment. Chase suffered a series of crippling strokes beginning in 1870. Despite his failing health, his daughter Catherine Chase and other admirers put forth his name for the 1872 presidential nomination. As had happened each time before, his nomination came to nothing. He died May 7, 1873, after suffering a stroke while visiting his daughter in New York City, and he was interred in Spring Grove Cemetary in Cincinnati. Although Chase did not achieve his highest goal of becoming president, he nevertheless held more high offices during his life than did any other Supreme Court justice besides James F. Byrnes and william h. taft. More importantly, Chase successfully guided the Court through some of the most tumultuous years in the history of the nation. His actions as chief justice helped to preserve the powers of the Supreme Court in the face of serious congressional challenges during the extraordinary years following the Civil War. Blue, Frederick J. 1987. Salmon P. Chase: A Life in Politics. Kent, Ohio: Kent State Univ. Press. Hyman, Harold Melvin. 1997. The Reconstruction Justice of Salmon P. Chase. Lawrence: Univ. Press of Kansas. Niven, John. 1995. Salmon P. Chase: A Biography. New York: Oxford Univ. Press.